Are you setting up your new nursery? How exciting!! It’s so much fun for new moms to focus on color selections, furniture sets, and sheet patterns. Believe me, I know. I’ve been there three times. My latest little munchkin is pictured above. He’s three now, as you know. But any excuse to whip out my baby’s newborn photos and I AM THERE. LOL! Your family will spend a ton of quality time in your new nursery, so it makes complete sense that you want it to be just right. Whether you are matching patterns or scoping out new wall decor for your new addition, it’s all worth the effort, right? Here’s your friendly reminder to keep baby’s safety top of mind while designing your new nursery. Safety checks are absolutely essential. 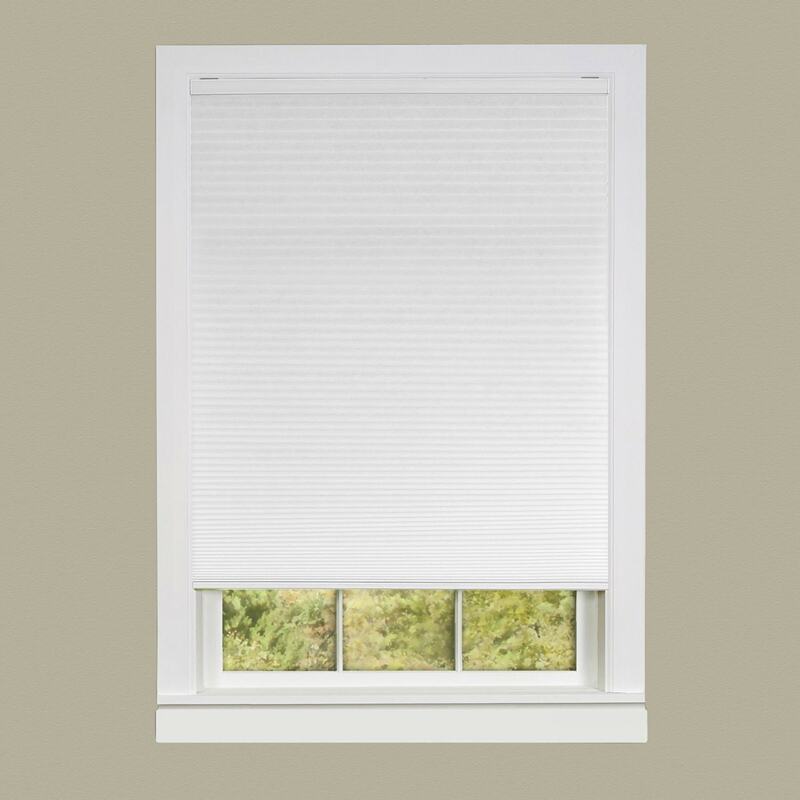 Cordless window treatments are best: They might cost a little bit extra, but you will definitely want to ensure that no cords are dangling and in reach of your baby’s little arms. 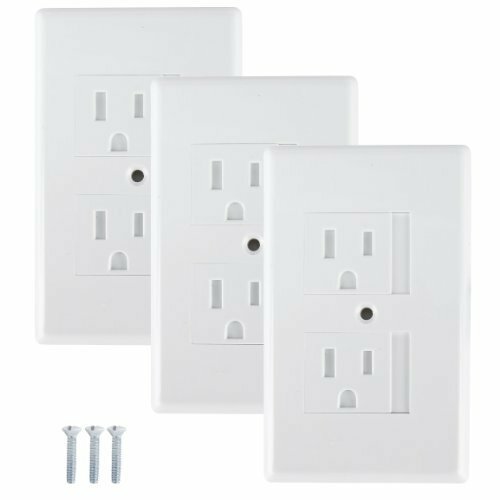 Use sliding outlet covers to hide plugs: To be honest with you, we still keep our outlets securely hidden away because you never know what kids will do! This simple fix is affordable, easy to install and hard to notice. 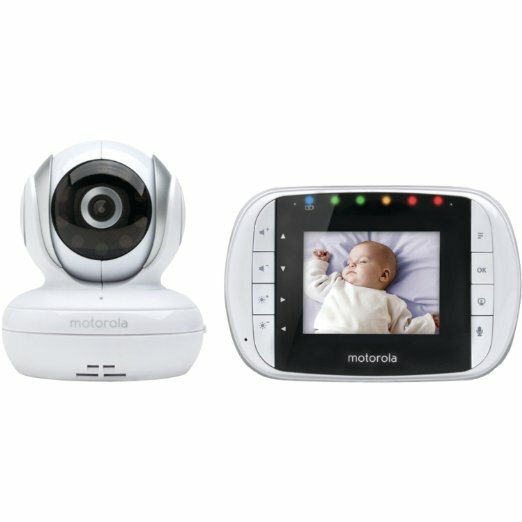 Baby monitors: Make sure you are able to see and hear your baby at all times with the Motorola MBP33S Wireless Video Baby Monitor. This wireless video baby monitor will enable you to keep an eye on your child and communicate with them whenever you’d like. Other great features include a remote zoom and infrared night vision. Keep crib empty: I know the doll that Aunt Sally sent along is adorable. And bless Grandma Martha for sending along that crocheted blanket in pink. But, it’s really best to keep the baby in the crib by him/herself. Limit what goes in with your child during naps. Temperature: Keep the nursery temperature somewhere between 65-70°F. This will ensure that baby won’t get too hot or cold. If you want to swaddle, that’s always an option. Do you have any tips that you’d like to share? Would love to hear! My sister-in-law is about to have a baby, I’m going to tell her that all of these items. I bet she could use a few in her house. This is an awesome guideline for new moms.. 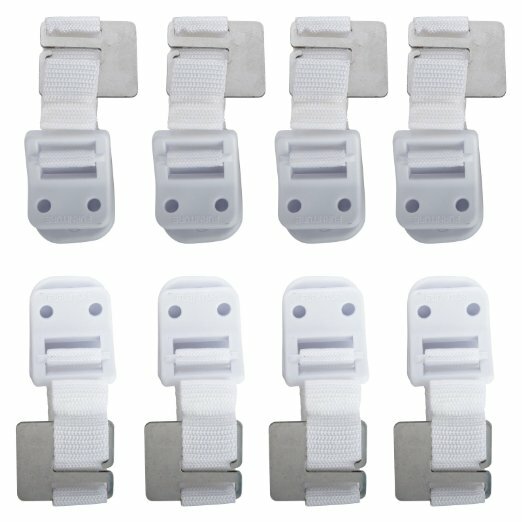 I wish they had these things available when I had my daughter almost 16 years ago! I was always in her room, checking to make sure she was breathing lol. And had those plastic plug covers. Much easier to slide back and forth. Better looking too! LOL. Great post! Great picks. Most people don’t think of cordless blinds, but those are super dangerous. I had forgotten how much baby proofing one needs to do. I am having to relearn everything now that my brother has a baby and she comes over a lot. The sliding outlet covers are so cool. I never knew something like this existed. It has been almost 8 years since I’ve had a baby in my house. I’m not sure I’d remember what to do! Great list for new parents. These are all great tips, while I am not a parent myself, I must admit I have seen other friends who are parents use these items! Loving your photos with baby back in the day! These are great tips. I can remember going through our house when we found out we were pregnant for the first time. It’s such nervous feeling. Important to take every step you can to make things safe. I so miss this stage and phase of life. I totally remember doing some of these things for my babies. Technology gets better and better each year. They make it a bit easier.